Ure’s enthusiasm for the “Iron Man,” the great industrial and manufacturing revolution of the early decades of the nineteenth century, was shared by many. But there is another side to the story, of course. The factory was also the “dark Satanic mills” of William Blake’s 1808 poem. Hell had risen, with fog, mud, nightmare, darkness, and squalor, and engulfed the earth. Michael Thomas Sadler (1780-1835), British Tory MP and evangelical Anglican, decried the sorry lot of the factory worker, especially children. He put together a committee to investigate the poor conditions of the factories. He was awarded with much resistance from Whig politicians, who put together their own committee to investigate the findings of Sadler’s committee! The plight of the poor was no match for ideas of progress. In his last chapter, James Secord explores the work of Thomas Carlyle (1795-1881), who, in his well-known Sartor Resartus, serialized in Fraser’s Magazine from 1833-34, and published in a single volume in 1838, satirized men of science and their ideas and hopes of progress. Carlyle appears to be an odd selection in a book that discusses the work of science popularizers such as Davy, Babbage, Herschel, Somerville, Lyell, and Combe. But it is a fitting end, for Carlyle’s writings influenced—perhaps unexpectedly—the next generation of the men of science, the scientific naturalists. Sartor begins by asking why, in a “our present advanced state of culture, and how the Torch of Science has now been brandished and borne about,” why has “little or nothing of the fundamental character, whether in the way of Philosophy or History, has been written on the subject of Clothes” (my emphasis). This was, of course, ironical. The author digresses into the great advances of science, declaring that “to many Royal Society, the Creation of a World is little more mysterious than the cooking of a dumpling.” Indeed, he goes on, “Man’s whole life and environment have been laid open and elucidated; scarcely a fragment or fibre of his Soul, Body, and Possessions, but has been probed, dissected, distilled, dessicated, and scientifically decomposed: our spiritual Faculties, of which it appears there are not a few, have their Stewarts, Cousins, Royer Collards: every cellular, vascular, muscular Tissue glories in its Lawrences, Majendies, Bichats.” All this deep and glorious scientific work, and yet no science of clothes! But there is hope, for “Germany, learned, indefatigable, deep-thinking Germany comes to our aid.” While the Philosophy of Clothes languishes among the English, there is a man in Germany, a Professor Diogenes Teufelsdröckh (“god-born devil-dung”) of Weissnichtwo (“know-not-where”), who has published a treatise expressly on the subject, Die Kleider, ihr Werden un Wirken (“Clothes, their Origin and Influence). Kindly, Teufelsdröckh has sent a copy of this work to the present editor and narrator of Sartor. The rest of Sartor discusses the “difficulties,” “reminiscences,” and “characteristics” of Die Kleider. In a chapter entitled “Natural Supernaturalism,” Carlyle calls for the “birth of a spiritually vital science that would release the human potential for action.” Here the “editor” discusses how Teufelsdröckh’s Philosophy of Clothes has attained “transcendentalism.” Teufelsdröckh asks whether a miracle is simply a violation of the Laws of Nature? But what, exactly, are the Laws of Nature? They are the fixed, unalterable rule of the Universe. But Sartor asks, “What those same unalterable rules, forming the complete Statute-Book of Nature, may be possibly be? They stand written in our Works of Science, say you; in the accumulated records of Man’s Experience?—Was Man with his Experience present at the Creation, then, to see how it all went on? Have any deepest scientific individuals yet dived down to the foundations of the Universe, and gauged everything there? Did the Maker take them into His counsel; that they read His ground-plan of the incomprehensible All; and can say, This stands marked therein, and no more than this? Alas, not in anywise! These scientific individuals have been nowhere but where we also are; have seen some hand breadths deeper than we see into the Deep that is infinite, without bottom as without shore. Laplace’s Book on the Stars, wherein he exhibits that certain Planets, with their Satellites, gyrate round our worthy Sun, at a rate and in a course, which, by greatest good fortune, he and the like of him have succeeded in detecting,—is to me as precious as to another. But is this what thou namest ‘Mechanism of the Heavens,’ and ‘System of the World’; this, wherein Sirius and the Pleiades, and all Herschel’s Fifteen thousand Suns per minute, being left out, some paltry handful of Moons, and inert Balls, had been—looked at, nick-named, and marked in the Zodiacal Way-bill; so that we can now prate of their Whereabout; their How, their Why, their What, being hid from us, as in the signless Inane? System of Nature! To the wisest man, wide as is his vision, Nature remains of quite infinite depth, of quite infinite expansion; and all Experience thereof limits itself to some few computed centuries and measured square-miles. The course of Nature’s phases, on this our little fraction of a Planet, is partially known to us: but who knows what deeper courses these depend on; what infinitely larger Cycle (of causes) our little Epicycle revolves on? To the Minnow every cranny and pebble, and quality and accident, of its little native Creek may have become familiar: but does the Minnow understand the Ocean Tides and periodic Currents, the Trade-winds, and Monsoons, and Moon’s Eclipses; by all which the condition of its little Creek is regulated, and may, from time to time (unmiraculously enough), be quite overset and reversed? Such a minnow is Man; his Creek this Planet Earth; his Ocean the immeasurable All; his Monsoons and periodic Currents the mysterious Course of Providence through AEons of AEons. We speak of the Volume of Nature: and truly a Volume it is,—whose Author and Writer is God. To read it! Dost thou, does man, so much as well know the Alphabet thereof? With its Words, Sentences, and grand descriptive Pages, poetical and philosophical, spread out through Solar Systems, and Thousands of Years, we shall not try thee. It is a Volume written in celestial hieroglyphs, in the true Sacred-writing; of which even Prophets are happy that they can read here a line and there a line. As for your Institutes, and Academies of Science, they strive bravely; and, from amid the thick-crowded, inextricably intertwisted hieroglyphic writing, pick out, by dexterous combination, some Letters in the vulgar Character, and therefrom put together this and the other economic Recipe, of high avail in Practice. That Nature is more than some boundless Volume of such Recipes, or huge, well-nigh inexhaustible Domestic-Cookery Book, of which the whole secret will in this manner one day evolve itself, the fewest dream. There is an obvious and quite deliberate echo of God’s response to Job in the Hebrew Bible: “Where were you when I laid the earth’s foundation? Tell me, if you understand. Who marked off its dimensions? Surely you know! Who stretched a measuring line across it? On what were its footings set, or who laid its cornerstone—while the morning stars sang together and all the angels shouted for joy? (Job 38.4-7). Carlyle had become disillusioned from with contemporary science at a young age. In an 1822 article he had written for Brewster’s Edinburgh Encyclopedia on the French mathematician, physicist and philosopher Blaise Pascal, Carlyle ridiculed Pascal’s famous calculator as “a wonderful but useless proof of its author’s ingenuity.” When he began pursuing studies in mineralogy, Carlyle was introduced to the work of Goethe, Schelling, and other writers of German Romanticism. 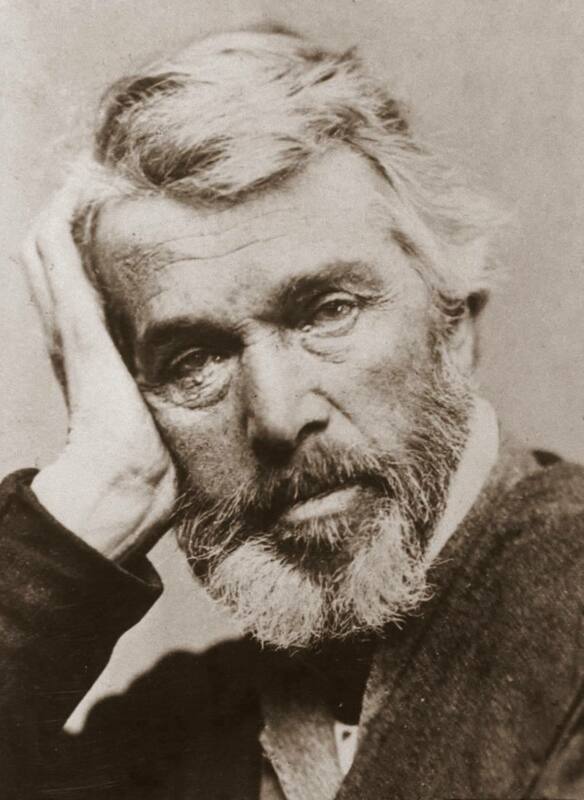 Against the utilitarian philosophies of British thinkers, Carlyle was enraptured dynamic Naturphilosophie. He came to see mechanics as limited, “focused on applications, and based on experiment and observation; dynamics was primary, vital, and grounded in intuition.” Carlyle saw a need to reform natural philosophy once again, for contemporary philosophers and mathematicians were “turning so-called ‘useful knowledge’ into a Pascal-like engine for the mechanical transformation of every area of life.” This “mechanization” was the “Signs of the Times,” and it will drastically and poisonously alter every aspect of society. Secord transitions from Sartor to the wider context to help us better grasp Carlyle’s denigration of the “Age of Machinery.” At the urging of Lord Brougham, the Society for the Diffusion of Useful Knowledge (SDUK) was founded in 1826 with the concerted goal of communicating every piece of “useful” information available to the working classes. But according to Carlyle, the “world of bookselling and publishing was as completely corrupted by mechanism as the rest of British society.” He mocked the SDUK in an 1833 article in Fraser’s Magazine. Fraser’s was known its satirical bite, for railing “against the utopian impracticality of schemes for universal education.” According to Secord, every “issue had articles mocking radicals and the reforming Whigs, especially their support for utilitarian political economy.” The new learning would only distract the worker. Ultimately, these aspirations were impractical. Worse yet, the new learning would endanger traditional values, “the schoolmaster peddling reason could be succeeded by the demagogue preaching irreligion and democracy.” In short, a periodical like Fraser’s was an ideal place for Carlyle to publish his Sartor. The scientific naturalists responded to such raucous accusations in two ways. First, they simply reiterated the “scrupulous standards of personal morality exhibited by scientific practitioners, as well as the strict discipline and moral propriety instilled—and indeed required—by empirical methods of experimentation and observation.” Another response, particularly and effectively employed by Tyndall, emphasized “the already existing connection between the leading advocates of scientific naturalism and older and more reputable literary writers, most notably the Poet Laureate Alfred Tennyson and the conservative Sage of Chelsea Thomas Carlyle.” But as Dawson suggests, Huxley, Tyndall, and other scientific naturalists might have deliberately misinterpreted the work of these literary figures for their own particular purposes. In the remaining chapters of Dawson’s remarkable book, he examines and analyzes “sexualized responses to evolution,” “nineteenth-century revival of paganism,” “Victorian freethought and the Obscene Publications Act,” “the refashioning of William Kingdon Clifford’s posthumous reputation,” and “the pathologization of aestheticism” by Huxley and Henry Maudsley (1835-1913). Judiciously integrating “contextualist approaches to the history of science with recent work in nineteenth-century literary and cultural history,” Dawson exemplifies what research in both archival and manuscript sources should look like. He draws from a broad ranges of sources, including journalism, scientific books and lectures, sermons, radical pamphlets, aesthetic and comic verse, novels, law reports, illustrations and satirical cartoons, and private letters. Dawson provides a fascinating account of the reception of scientific ideas and further evidence that science is never neutral. “Victorians of every rank, at many sites, in many ways, defined knowledge, ordered nature, and practiced science.” This introductory remark, in Bernard Lightman’s Victorian Science in Context (1997), unveils the aim of the volume as a whole. Presented as a series of connected vignettes, it focuses on the local and the contingent. 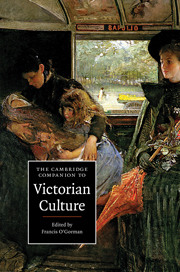 Situating a range of natural knowledge in their cultural milieu, Victorian Science in Context is a fascinating jaunt through nineteenth-century British science. Lightman’s introduction is brief, lucid, and pertinent. 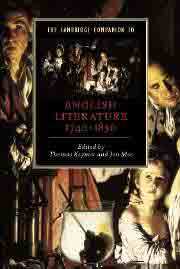 According to Lightman, science was central to Victorian culture. And whether sensational, ceremonial, or mundane, Victorian science was always political. This is evident in the strong interest in science by literary figures, such as Thomas Hardy (1840-1928), George Eliot (1819-1880), Alfred Lord Tennyson (1809-1892), Charles Dickens (1812-1870), and John Ruskin (1819-1900), to name only a few. 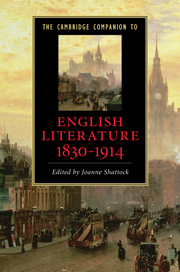 The political nature of Victorian science is also evident among British scientists themselves, who “were deeply involved with general culture.” The realization that Victorian science was inextricably linked to powerful social and cultural forces drove historians away from intellectual history to contextualism, which sees the local, the context, the situated, or the particularities of historical events and figures as crucially important. Whose “truth,” “rationality,” “science,” “religion,” “ethics,” and so on, are the principle questions asked by contextualist historians. Lightman goes on to chart the development of the contextualist approach, tracing a detailed genealogy beginning with early attempts by Susan Faye (Walter) Cannon, John Greene, and the more recent work of Frank Turner, Robert Young, Jack Morrell and Arnold Thackray, Martin Rudwick, Adrien Desmond, James Moore, Nick Jardine, James Secord, Emma Spary, Robert Stafford, Crosbie Smith and M. Norton Wise, Cynthia Russett, Evellen Richards, Gillian Beer, and George Levine. Fittingly, the essays are grouped into three sections: Part 1 deals with “Defining Nature”; Part 2 with “Ordering Nature”; and Part 3 “Practicing Science.” This overview of Victorian Science in Context reflects my particular research interests. Alison Winter’s essay on “The Construction of Orthodoxies and Heterodoxies in the Early Victorian Life Sciences” undermines the traditional image of early Victorian science. Science in the Victorian age was not made up of a homogeneous community; it was indeed “volatile” and “underdetermined,” indeed a “more fluid chaotic state of affairs” than traditionally reckoned. “We now know,” she writes, “that the practices, practitioners, contexts, and audiences that existed for early Victorian science were extremely diverse,” and that by the “late 1830s and 1840s there was a far wider range of specialist journals and societies, and a dizzying variety of other arenas in which science was practiced and communicated.” This diversity is indicative of the multifarious definitions of “science” proposed during the era. As already mentioned, recent research has overwhelmingly demonstrated the political significance attached to claims about nature. Winter notes, for example, how “radical artisans adapted evolutionary thought to give a blueprint in natural law for their socialist and cooperative projects.” Indeed, the “life science supplied pedigrees for the conservative, liberal, and radical” alike. What is more, “issues of place, practice, and audience have been central to the construction of scientific authority and orthodoxy.” In the second half of her essay, Winter concentrates on the case of William Benjamin Carpenter (181-1885), who personally sought “to demarcate the legitimate from the illegitimate experiments and phenomena.” His 1839 Principles of General and Comparative Physiology claimed that physiology should become as lawlike as the physical sciences, thus reducing “physiology to a set of naturalist laws.” This claim was just as controversial as what the radical artisans had advocated in their evolutionary project; but unlike the radicals, Winter argues, Carpenter solicited the support of specific elite scientists who were also religiously orthodox. And when his Principles did come under attack, he “took immediate and vigorous action to vindicate himself,” publishing an appendix “to one of the moderate progressive medical periodicals a personal defense of the spiritual respectability of his work.” In this defense Carpenter described a world “run by laws that had themselves been ushered into existence by a single divine act.” But more important than his own defense, Winter explains, were the “letters of reference” from individuals who embodied orthodoxy in science and religion, defending Carpenter’s work as “theologically sound.” Carpenter’s act of “juxtaposing the names and statement of individually eminent personages” constructed them “as an authoritative and definitive community.” Thus the “specific work that was necessary to secure the status of orthodoxy for himself was the assertion of what counted as an authoritative community for him.” That is, by successfully soliciting the support of respected scientists of orthodox standing, Carpenter constructed his own definitions of what counted as heterodox or orthodox in his scientific work. Martin Fichman’s “Biology and Politics: Defining the Boundaries” examines the rich interplay between biological and political speculation. Because “evolutionary biology was at an interface between the natural and social science, it was notoriously susceptible to sociopolitical influences and deductions.” T.H. Huxley and John Tyndall’s strategy for advancing the professional status of biologists, by isolating biology from politics and by proclaiming the ideological neutrality of science, failed. Evolutionary science become, unsurprisingly, “hostage to pervasive ideological manipulation by the scientific naturalists themselves.” In this essay Fichman focuses on the work of Herbert Spencer, Francis Galton, Huxley, and Alfred Russel Wallace. Alfred Russel Wallace (1823-1913) attacked any pretext to ideological neutrality. Indeed, for Wallace, evolutionary biology necessitated an ideological context. In his “Human Selection” (1890) and “Human Progress: Past and Future” (1892), Wallace unabashedly declared his socialist convictions, particularly towards sexual selection. “Socialism, by removing inequalities of wealth and rank, would free females from the obligation to marry solely on the grounds of financial necessity.” And as Fichman points out, “Wallace’s social progressionism informed his biological progressionism and reinforced his position that science did not function as a neutral blueprint for political philosophy.” That is, Wallace’s scientific views merged seamlessly with his advocacy of socialism and feminism. In the late nineteenth-century, “thousands of members of the public were introduced to astronomy” by the writings of Anthony Proctor (1837-88). His most popular work, Other Worlds Than Ours (1870), cast science into a “teleological framework” and encouraged the reading public to become amateur astronomers—for the astronomer, “imbued with the sense of beauty and perfection which each fresh hour of world-study instills more deeply into his soul, reads a nobler lesson in the skies.” Astronomy, according to Proctor, leads to God. Similar sentiments were shared by the Reverend John George Wood (1827-89) and Agnes Mary Clerke (1842-1907) in their many writings, who both declared that the natural world testified “to the existence and wisdom of God.” We may draw two important conclusions from the popularization of science during the Victorian era. The first is that “science continued to be contested territory in the latter half of the nineteenth century.” Second, the stories told about nature were also contested. Should stories about nature be told from a teleological, aesthetic, moral, or evolutionary perspective? The scientific naturalists fought for the hearts and minds of the reading public. But so did popularizers of science. Thus we may say that the professional scientist competed against the professional writer. Who won is still an open question, however.